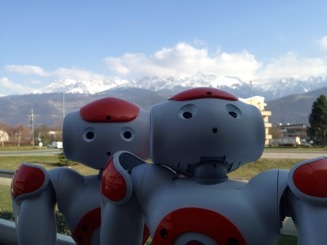 The EARS partners presented the first results of the EARS project - Embodied Audition for RobotS - in Grenoble. The live demos included robot head motions optimized for both audio information and intuitive HRI, internal simulations and dynamic blind source separation. You can also follow @ears_eu on twitter to get the latest news on robot audition.